We maintain an announcement mailing list to provide timely information to interested parties that are closely related to the mission of the Graduate Program in Homeland Security. Membership is by approval only and may be revoked at any time. The mailing list is announce-only and replies may only be sent to the author, not the mailing list. Once added to the mailing list, you will receive a notification from Google. 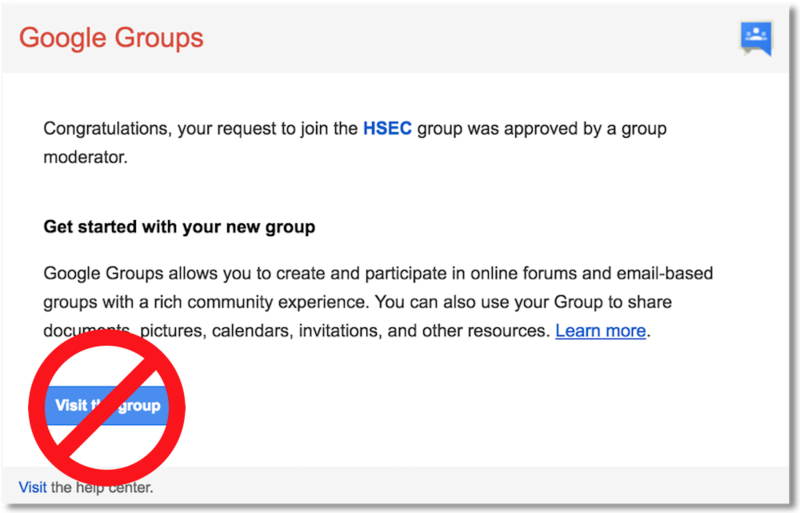 IGNORE the blue button to "Visit this group" -- do not click on the blue button! You may unsubscribe at any time by sending email to the unsubscribe address provided at the bottom of every sent message.